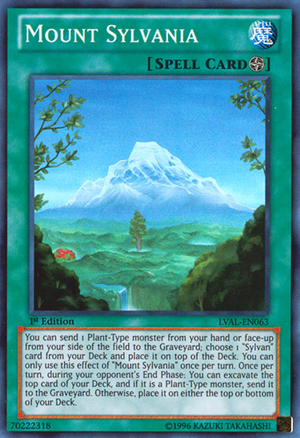 I want to do the sylvan deck topic! Bear with me, it's my first guide. This is all from my perspective of the archtype. I'm a budget player, for the most part. My lightsworns don't count. 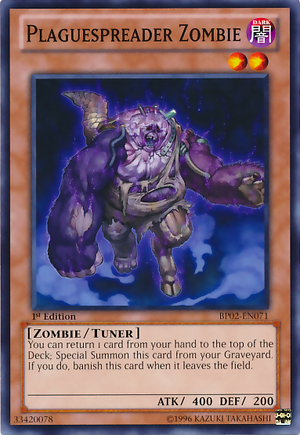 the deck is all about stacking the top of your deck to make plays, or known as card manipulation. No joke there. Now, how might you even get plaguespreader into the graveyard consistently, or mount sylvania onto the field? You can choose to speed up your deck with three cards. Now most people wont believe me on this one, but it works wonders for the deck. And acting as a foolish burial once per turn. The problem is you need a plant type in your hand. 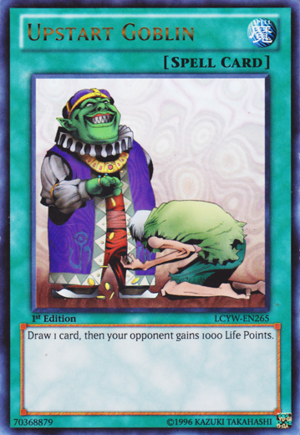 that is one of the biggest flaws in the deck is draw power. Now let me give you an idea. 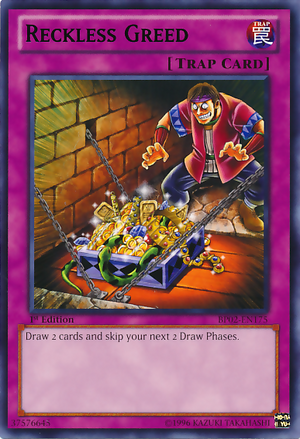 Say you have 40 cards in your deck. You can choose to play either of these cards, and make it 43. I'm not kidding. Normally upstart acts as a free card to thin the deck, making the deck potentially 37 cards. 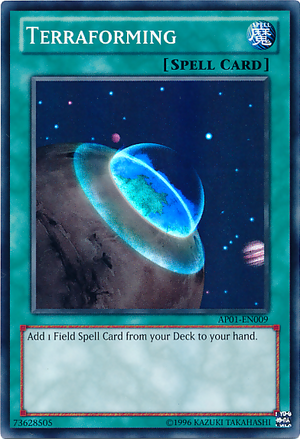 BUT, because you have stacking potential, if you were to say, stack a marshalleaf, and activate upstart, you would draw the marshalleaf instead of the card you would have. 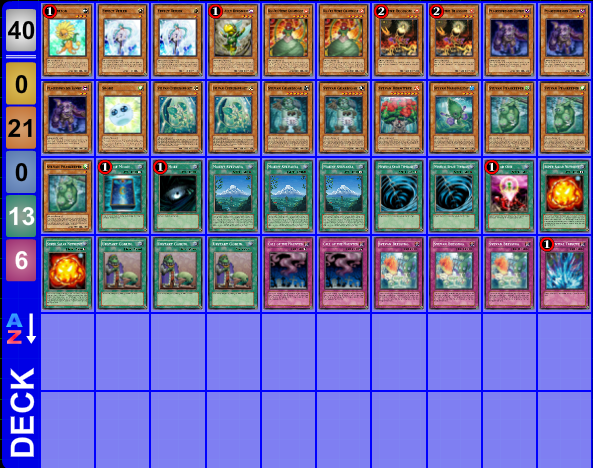 This deck is all about card manipulation. 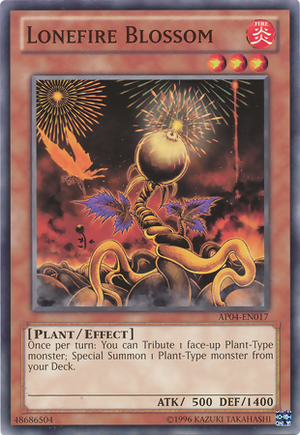 Copy plant serves as a way to make synchros and Xyz monsters very easily due to cherubsprout. This card is really cool. 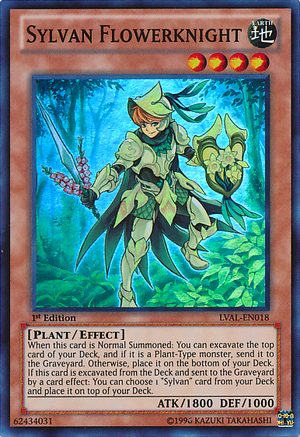 It's a 1900 level 4 that can potentially mill a plant off of battle. Unfortunately, other than adding itself to the hand, it doesn't do much for the deck. You may choose to run a bladefender build, but that's another story. Here, we want the plaguespreader + sylvan combos. You may choose to run at 1 for hand avantage, but it might not do much there besides recycle itself from plaguespreader. Guardioak is one of my favorites. He acts as a beefy card trooper that can specifically mill what you need. The only problem is really drawing him, so I run him at 2. This is so you can potentially have two on the field for a rank 6 and have an extra lonefire target. Another cool card. 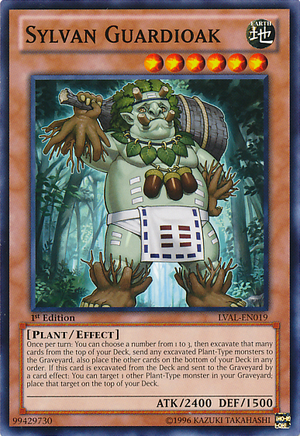 With this guy you can have your plaguespreader stack a peaskeeper or a cherubsprout, then have this guy normal summoned, mill whatever, and net a +1. I like to run him at 1, unles you run marshalleaf instead. Hermitree is a great card. 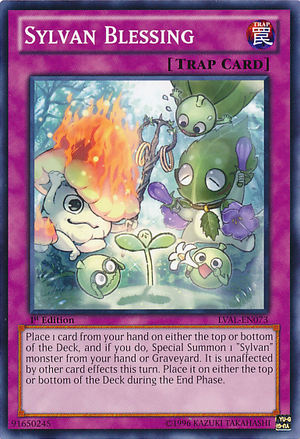 It can net you a +2 just by setting up a peaskeeper or chrubsprout on top of the deck. Run at least 1, but be careful as it is cloggy early game. 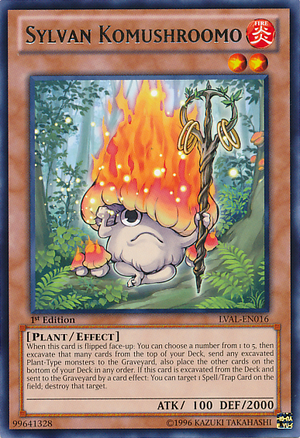 Komushroomo is a neat concept, since you can excavate up to 5 cards, but it's very slow. I don't run any, personally. 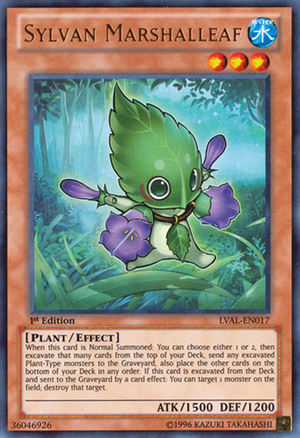 Marshalleaf is a great card. I like to think of it as a better flowerknight in the sense that excavating it can net you a +1 on your opponent. It cannot, however, setup plays. so it's up to you to run this over flowerknight, depending on the consistency of the deck. 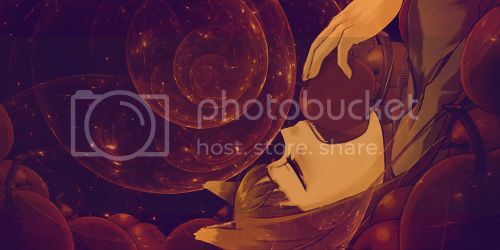 Mikorange is a worse Komushroomo. This is terribly slow, and the excavate effect barely is beneficial. Don't run any. Peaskeeper. 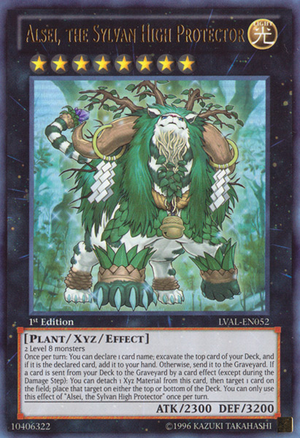 The main monster of the deck. It is searchable by 141, Super Solar nutrient and lonefire. I find it's a very consistent card that nets you a ton of field advantage quickly. Run at 3. 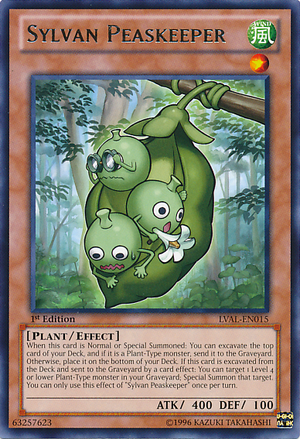 Cherubsprout is a great card. Like Peaskeeper, it is very searchable. The only flaw is you cannot normal summon it for an effect. 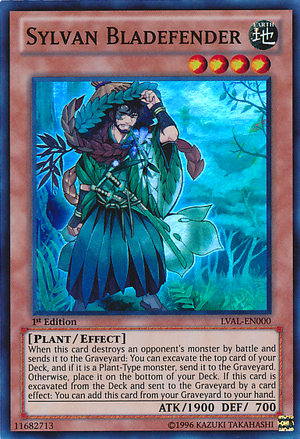 The good part, though, it it does search peaskeeper (when excavated), which is your main card. Alsei this isn't really usable unless you're running multiple copies of hermitree. But if you do manage to get it, you can easily setup plagespreader plays. I will post some videos of how the deck works soon. 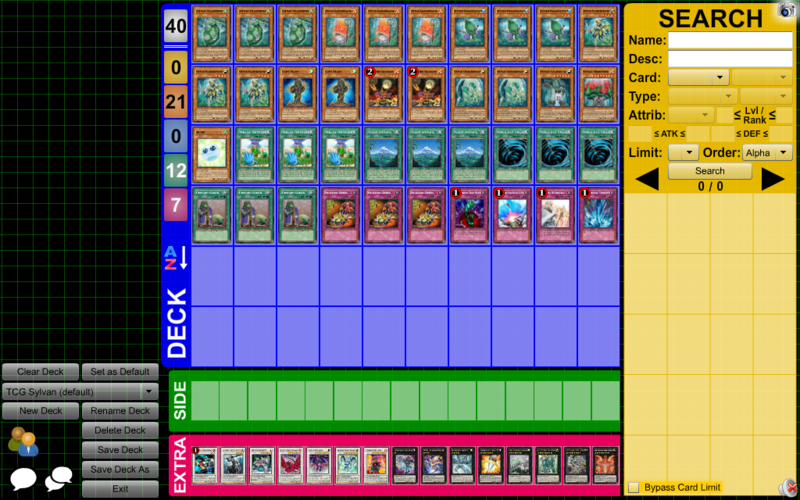 Credit to AIX for teaching me how to actually play the deck. Where is Spore and Copy Plant? 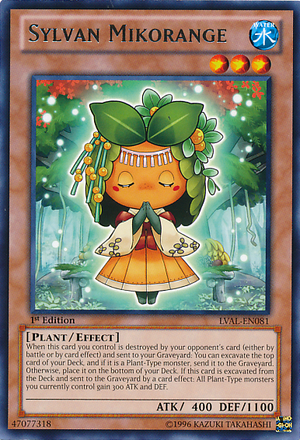 Those are the cards you're going to be Summoning with Cherubsprout, not Peaskeeper. Komushroom is necessary as a MST. I could be wrong, will test copy plant. And spore is in the decklist I included. the guide isn't finished yet. just seems slow to me outside of 141 or nutrient, and I feel like there are better options. Cherub -> Copy Plant is what you will always get with Cherub, getting Peas is really silly..
Also, you're missing Miracle Fertilizer as well and Sylvan Blessing is pretty terrible. Marshal is a definite @3. Duel on DN? Something like this is good. 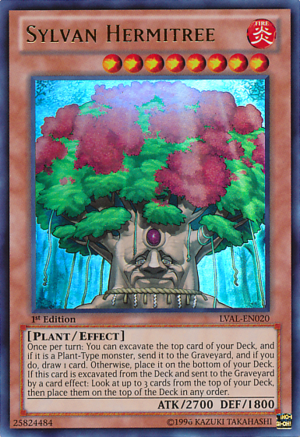 You really need the S/T removal that Mushroom gives to deal with problem cards so playing it is a definite mistake. Alrighty. Thanks for the tips, I appriciate them.